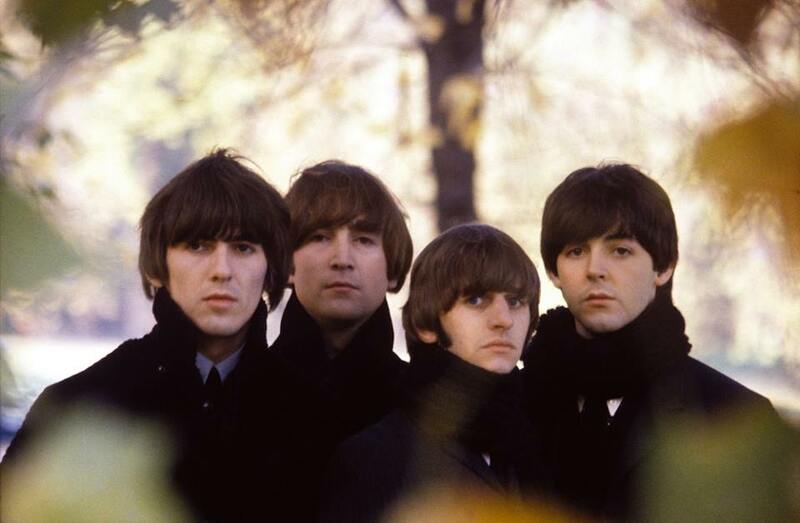 The Beatles Through The Years: The Beatles Are Evergreen. The lads pose for the cover of their fourth album 'Beatles For Sale' in Hyde Park, London, 1964. This is a term used for things that will always stay popular. Always stay relevant to the world. They constantly gain new followers even though they ceased to be a group in 1969. Officially, it was 1970 but by September 1969, Lennon had permanently left the Beatles. Their recording career together was 8 short years. From 1963 to 65 they released two albums a year. 1966 to 70 saw only one album a year. So in 8 years they released 12 albums. 13 EPs (Extended Plays) and 22 singles. Internationally, there was many more albums, EPs and Singles released. Particularly in the United States where Capitol Records chopped and changed all the albums to their hearts content. The Beatles themselves were unhappy with this but realised that the fame was coming in at an alarming rate. Paul McCartney's Shea Stadium Jacket.